We can never be too old to make a wishlist. 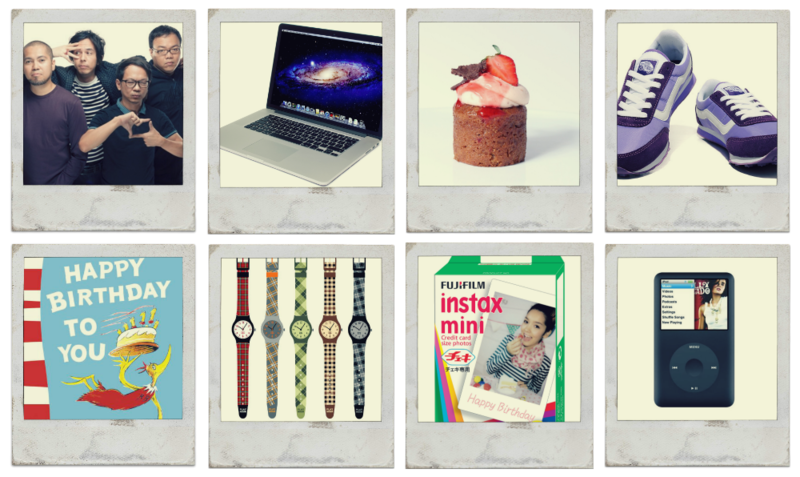 I usually make a birthday and Christmas wishlist every year eventhough nobody really takes note of it. Haha. 1. Watch a Peso Movement/Japsuki gig. I've been a fan of Japs Sergio since his DDC days and I saw recently in Facebook his new band, Peso Movement. I finally saw them perform last month in Baguio and I got hooked ever since. 2. A decent laptop. It would be great if I could afford a Macbook Pro but I'd rather not spend too much on a laptop. But if someone would give it to me as a gift, I'd gladly accept it. Hahaha. 4. Van's Women's Running Shoes. Because I only have flats and sandals. And I need this for working out. 5. The book Happy Birthday To You by Dr. Seuss. 8. iPod Classic 6th Generation. It's on the 10th. Haha. I think I have to try printing out this list and leaving it around the house and on friends' desks. Hahaha!